Your RAM is an important resource, but many users reported that Windows 10 isn’t using all RAM. This is a strange issue that can cause reduced performance, however there’s a way to fix this problem. Windows 10 isn’t using all RAM, how to fix it? If Windows 10 isn’t using all RAM, that might be due to 32-bit version of Windows. 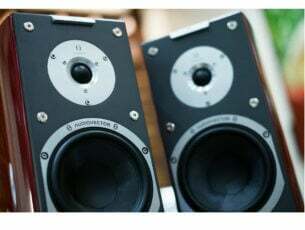 As you know, Windows comes in two versions, 64-bit and 32-bit, and these versions have different limitations. 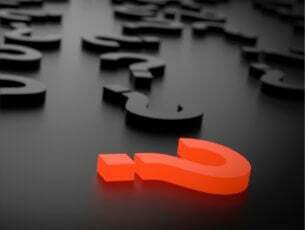 The 32-bit versions of Windows can use up to 4GB of RAM, and in most cases some of your RAM will be added to reserved address space. As a result, you’ll be left with 3-3.5GB of usable RAM. This isn’t a huge performance loss if you have only 4GB of RAM, but if you have 6 or 8GB of RAM, 32-bit version of Windows can drastically reduce your performance. Press Windows Key + S and enter system. Now select System from the menu. When System window opens, check the information in the System section. There you can see System type as well as the processor model you’re using. If you’re not using 64-bit version of Windows, you’ll have to perform a clean install and install Windows again. Keep in mind that in order to install 64-bit version of Windows, you need to have a 64-bit processor. To perform a clean install, simply download Windows 10 64-bit ISO from Microsoft and use Media Creation Tool to create a bootable drive. We have to warn you that clean install will remove all files from your system drive, so be sure to back them up beforehand. 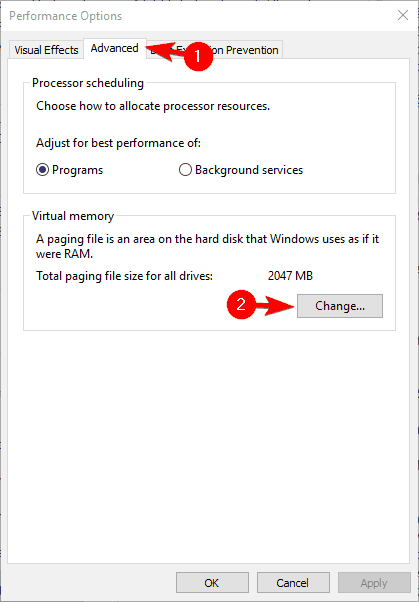 After you install 64-bit version of Windows, your PC should utilize all your available RAM. Quick warning, if you already have a 64-bit version and Windows isn’t using all your RAM, there’s no need to reinstall it. Instead try one of our other solutions. Press Windows Key + S and enter advanced. 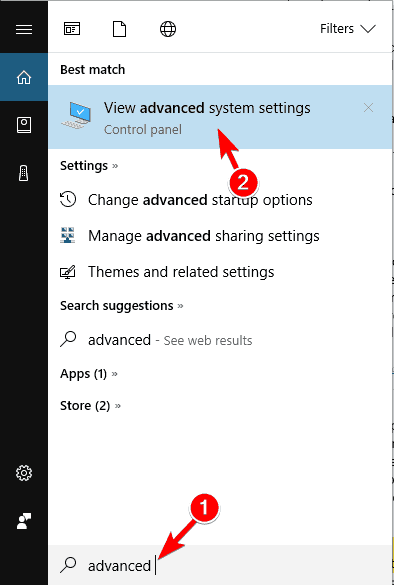 Choose View advanced system settings from the menu. When System Properties window opens, click the Settings button in the Performance section. Performance Options window will appear. Go to Advanced tab and click on Change. In Virtual Memory window, uncheck Automatically manage paging file size for all drives option. Now select each drive on the list and chooseNo paging file option. Click OK to save changes. After you make the necessary changes, restart your PC. Once your PC restarts, check if the problem still appears. If not, you can enable Automatically manage paging file size for all drives feature again. Several users reported this solution fixed the problem for them, so be sure to check it out. 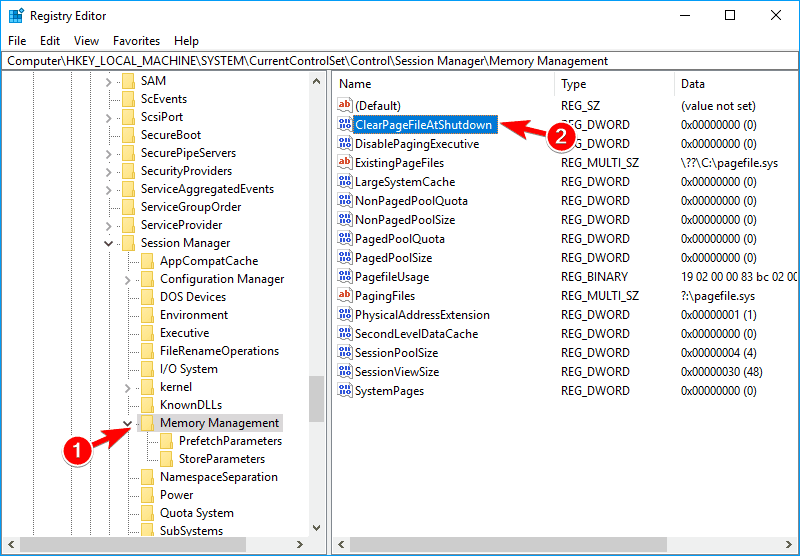 If Windows 10 isn’t using all RAM, this can be because the RAM module isn’t properly seated. If you installed new RAM recently, it’s possible that you didn’t lock it properly thus causing this problem to appear. To fix the issue, you need to unplug your PC, disconnect it from the power outlet and open it. Now locate your RAM and check if it’s locked properly. If your RAM module is loose, you need to press it gently until its properly locked. If needed, you can also check and see if the latches are holding your RAM properly. Keep in mind that you need to be extra cautious while working with your hardware in order to avoid causing any damage to PC. If you’re not sure how to check your RAM, it might be best to contact an expert. If Windows 10 isn’t using all RAM, it might be because your RAM is faulty. In most cases faulty RAM will cause Blue Screen of Death errors to appear, so if you’re PC is restarting frequently, it’s possible that your RAM is faulty. The easiest way to check your RAM is to test your modules one by one. Simply remove all modules except one and see if your PC is recognizing all of your RAM. Repeat these steps for all memory modules until you find the faulty one. If you want to perform a detailed scan, it’s highly recommended to scan each RAM module with MemTest86+ tool. This is a free tool that will allow you to perform a detailed scan of your RAM. Simply create a bootable USB flash drive with MemTest86+ on it and boot your PC from it. After doing that, start the scan and let it run for couple of hours. Keep in mind that you’ll have to scan each of your RAM modules individually, so this process might take a while. After you find the problematic module, remove it and replace it with a new one. Several users reported that faulty RAM caused this error to appear on their PC, so be sure to check your RAM. According to users, if Windows 10 isn’t using all RAM it might be because your RAM modules aren’t installed in the correct order. Many motherboards are quite specific about the order of RAM modules, so you might have to remove your RAM and rearrange it in order to fix this problem. In addition, we advise you to check your motherboard manual and see how to properly arrange your RAM modules. If you’re using two modules, be sure to add them to proper sockets. Your sockets are colored differently, so if you’re using two modules, be sure to add them to sockets with matching colors. Users reported that rearranging their RAM fixed the problem, so be sure to try that. 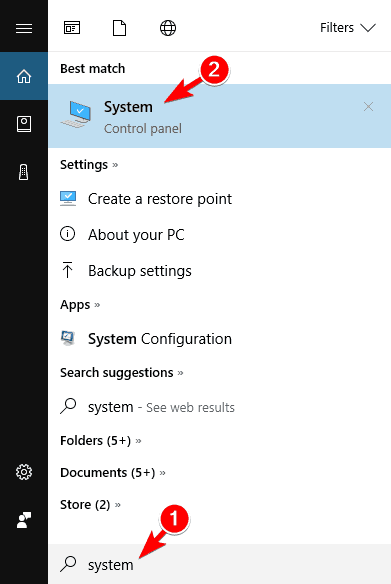 If Windows 10 isn’t using all RAM that can usually be because of your BIOS settings. 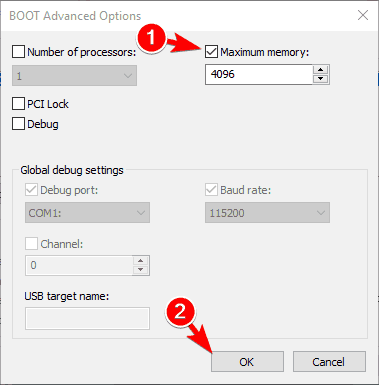 To fix the issue, you need to enter BIOS and change few settings. To see how to enter BIOS, be sure to check your motherboard manual. In addition, you also need to enable Memory Remap feature. 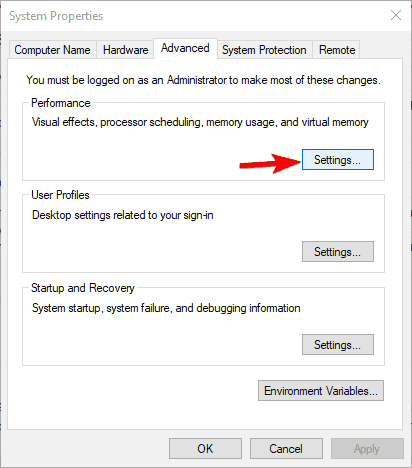 To do that, navigate to Advanced > System Agent Configuration > Memory Remap and set it to Enabled. After doing that, save changes and the problem with RAM should be resolved. If you have Internal Graphics or Onboard Graphics options in BIOS, be sure to disable them as well. Several users reported that you can fix this problem only by changing iGPU settings in BIOS, so be sure to try that. If you want to know more about these settings and how to access them, we strongly advise you to check your motherboard manual. 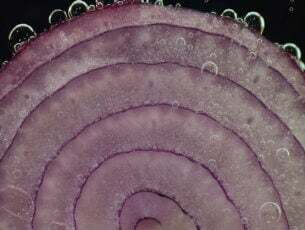 It’s also worth mentioning that changing Frame Buffer Location from Above 4G to Below 4G can fix the problem, so you might want to try that as well. System Configuration window will now appear. 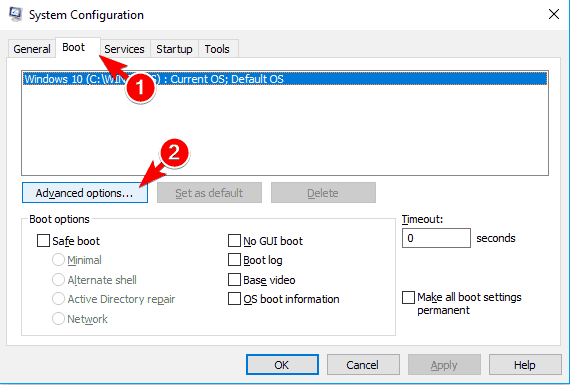 Navigate to Boot tab and click on Advanced options. Boot Advanced Options window will open. Check Maximum memory option and enter the amount you have in MB. 1GB is 1024MB, and since we have 4GB RAM on our PC, that’s 4096MB. For your PC, be sure to enter the correct amount of RAM in MB. After you’re done, click on OK. 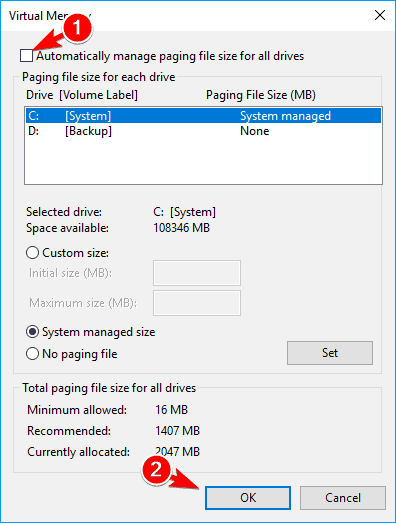 Some users are recommending to repeat steps from Solution 1 and disable paging file after setting the maximum memory, so feel free to try that as well. It’s also worth mentioning that many users managed to solve this problem simply by unchecking Maximum memory option. 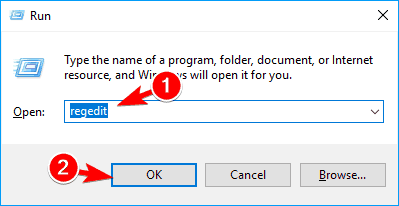 If this option is enabled in Windows, be sure to disable it and check if that solves the problem. Optional: Modifying the registry could be potentially dangerous, therefore it’s advised to create a backup before making any changes. 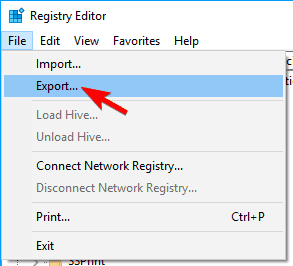 To back up your registry, you just need to click on File > Export. Now select All as Export range and set the desired file name. Choose a safe location and click on Save button. If any problems occur after you modify your registry, you can easily restore it to the original state simply by running the file you just created. When Registry Editor opens, in the left pane navigate to HKEY_LOCAL_MACHINE\SYSTEM\CurrentControlSet\Control\Session Manager\Memory Management key. 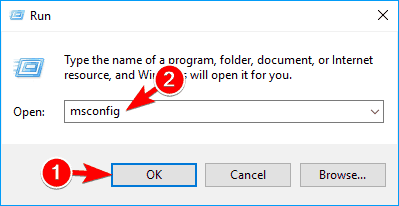 In the right pane, double click the ClearPageFileAtShutdown DWORD to open its properties. Set the Value data to 1 and click on OK. 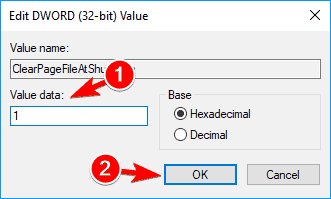 Optional: Several users claim that you need to set Value data for ClearPageFileAtShutdown DWORD to 2 and save changes. After doing that, set the Value data for the same DWORD to 0 and save changes. Once you make the necessary changes, shut down your PC and check if the issue still appears. Sometimes Windows 10 isn’t using all RAM since your RAM isn’t compatible with your motherboard. If that’s the case, the PC won’t recognize it and you won’t be able to use it. To fix this problem, be sure to check your motherboard manual and see if your current memory modules are supported. Some RAM models aren’t fully compatible with certain motherboards, and to fix this issue, you need to replace your RAM with a compatible model. If Windows 10 isn’t using all RAM, it might be because your BIOS is outdated. It’s rather likely that your memory isn’t compatible with your motherboard, and by updating your BIOS you might fix this problem. BIOS updates bring new features and improved hardware compatibility, so BIOS update might be the solution for you. We have to warn you that BIOS update is an advanced procedure, and if you don’t perform it properly you can cause your motherboard to stop working. To update your BIOS, be sure to follow the instructions from your motherboard manual closely in order to avoid causing damage to your PC. BIOS update isn’t a risk-free procedure, and you’re updating it at your own risk. Several users reported that the issue was resolved after the BIOS update, so you might want to consider updating your BIOS. According to users, this problem was caused by a modified BIOS. 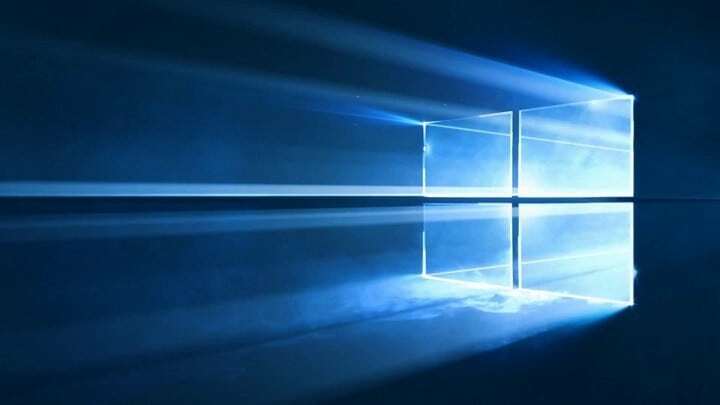 Few users reported that Windows 10 wasn’t using all RAM because they had a modified version of BIOS. However, they managed to fix the issue by flashing their BIOS and using the official version instead. Modified versions of BIOS can be unsafe to use, so be sure that you’re always using an official BIOS if you want to avoid any issues. Quite often Windows 10 isn’t using all RAM because of your integrated graphics. Integrated graphics is built-in to your motherboard and it uses a certain amount of your RAM. On the other hand, dedicated graphics cards have their own RAM so they won’t use your system’s RAM. To see if you have an integrated graphics card you just have to check your motherboard information. In addition, you can also check ports on your computer case. If you have VGA, DVI or HDMI port next to your other ports on the motherboard, it’s rather likely that you have a built-in graphics. To stop the onboard graphics from using your RAM, you need to install a dedicated graphic card and disable onboard graphics from BIOS. To see how to do that, be sure to check your motherboard manual for detailed instructions. If Windows 10 isn’t using all RAM, it might be because you exceeded the RAM limit. All motherboards have a certain limit on the amount of RAM they can support, and if you have an older motherboard, it might be that you exceeded the maximum amount of RAM the motherboard can use. To see how much RAM your motherboard can support, be sure to check its instruction manual. In addition, it’s recommended to check system information in BIOS. If BIOS displays the correct amount of RAM, it means that your motherboard can recognize it and support it. This means that the problem is caused by Windows and not by your hardware. Windows 10 isn’t using all RAM can be a big problem since it can drastically reduce your performance. This can be a tricky problem since you might have to inspect your hardware to fix it, but we hope that you managed to solve this issue by using one of our solutions.